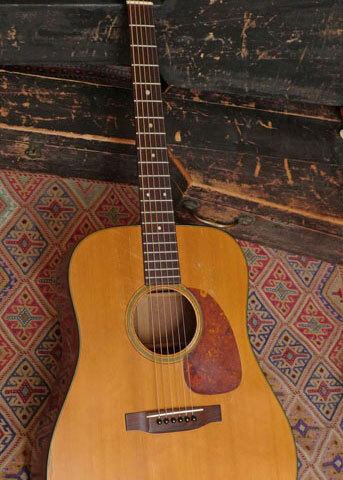 This big 12-fret Brazilian Rosewood pre-war Martin is properly set up for steel strings, with new replacement ebony pyramid bridge meticulously made to original specs, but compensated for steel string, perfect intonation. All braces original and in great shape. Original bridge plate. All original finish everywhere. 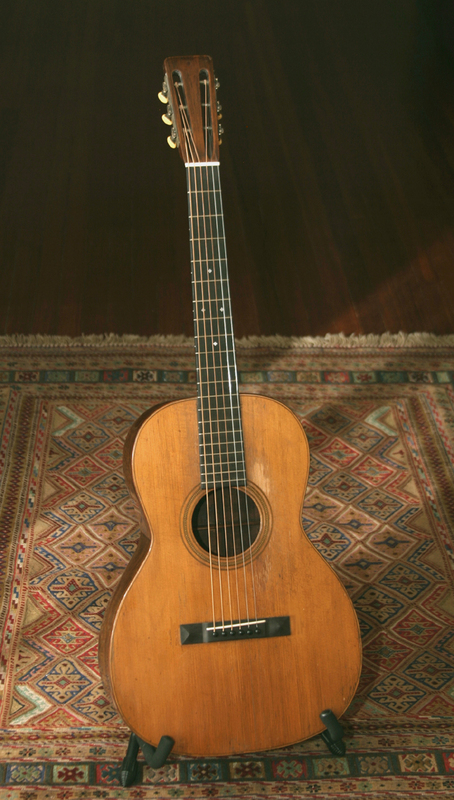 This guitar has all the tone you’d expect from a pre-war 00 Brazilian Martin. It’s had restoration work, all by us, recently, as follows. Hide glue used in all repairs/restoration. 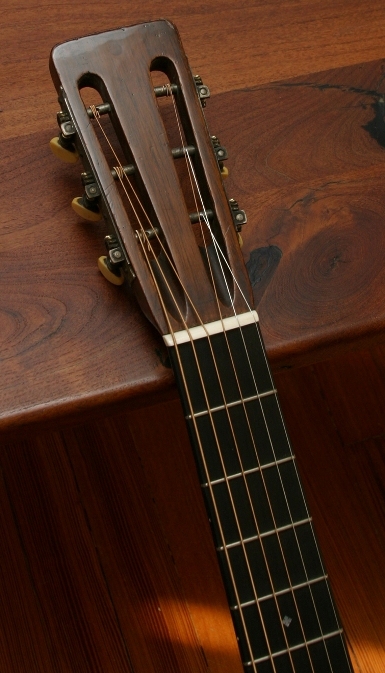 Small hole drilled in top of headstock many decades ago (to hang the guitar on a wall presumably) has been expertly filled and finished with a piece of Brazilian rosewood veneer, on front, to match the veneer of the headstock. 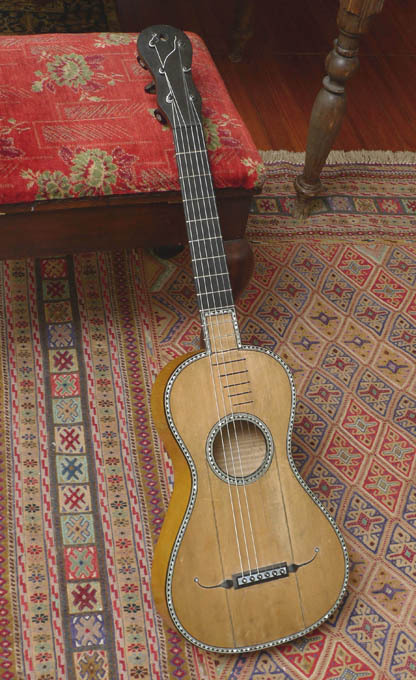 New replacement ebony pyramid bridge meticulously made to original specs, but compensated to steel string intonation. 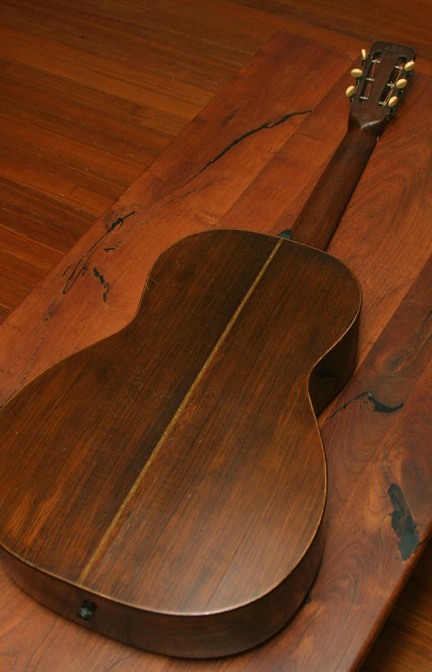 Scratch marks in spruce top, on either side of bridge, filled and finished. 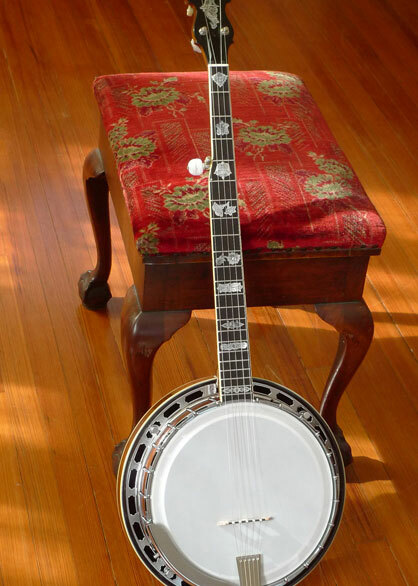 To the thin maple, original bridge plate, we carefully added tiny maple ring/plugs, with hide glue, into the holes, to address bridge pins holes slightly enlarged over the years. Older repaired small crack in heel expertly touched up. It’s 100% stable. (It appears to be a surface/finish crack.) It’s very hard to see even up close, and impossible to photograph. 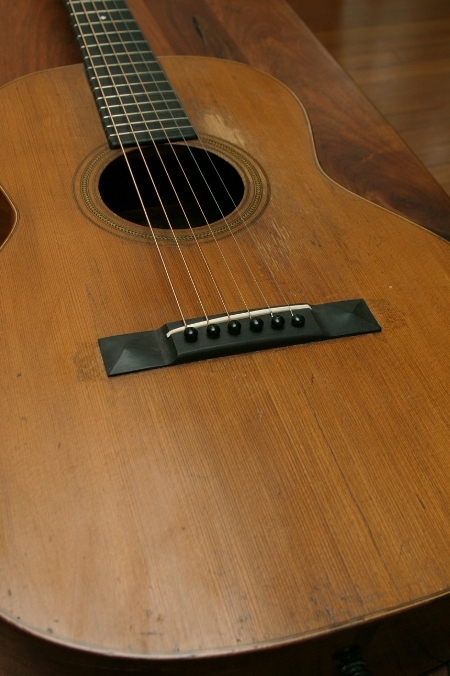 With this meticulous restoration, the guitar is now a wonderful player, and with all original finish.